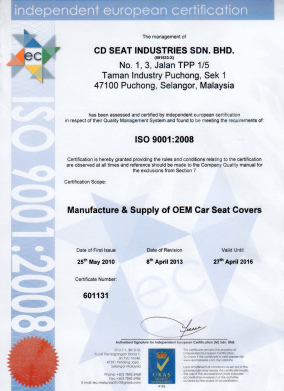 Carbi-Deco Leather Industry Sdn Bhd is a leading Original Equipment Manufacturer (OEM) and Replacement Equipment Manufacturer (REM) of leather car seat covers in Malaysia. Started in year 1997, Carbi-Deco has managed to kick start its operation in the midst of the regional economic crisis. 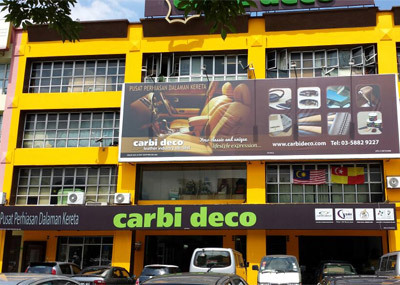 From a single shop unit with only 5 workers, Carbi-Deco has expanded steadily to its current set-up of 4 units of attached shop lots and an established production factory in Malaysia. The attached shop unit served as a sales office for the walk-in customers to confirm their selection, an installation & service center as well as Carbi-Deco main management office. 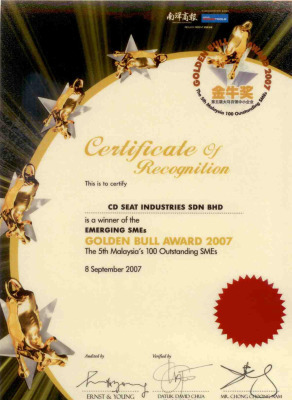 In year 2002, Carbi-Deco has further expanded its business to overseas and thus setup its operation office & production plan in Singapore. With this new manufacturing plant, Carbi-Deco further expands its range of products, from leather car seat cover to baby car seat, steering wheels, car mats and other car interior products. Carbi-Deco, the high quality car seat cover manufacturer is the preferred choice in local market when it comes to car seat purchase. 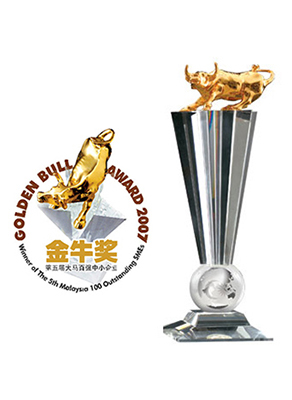 Our excellent product collections, superior quality, consistency innovative marketing support and the finest craftsmanship are the best value added reasons to stand out from our competitions. Our mission is to be the leader in car seat upholstery industry, by always presenting the best collection of products, in terms of design and craftsmanship that are highly appreciated by our customers. We ensure the high level of satisfaction of our customers and efficient supply chain to our dealer customers for domestic and export market. commitment, we sourced the finest raw materials from the famous world-leading suppliers. value added strategies to our partnership. Carbi Deco is one of the leading OEM leather car-seats manufacturer in Malaysia, with a clientele that includes local and overseas car manufacturers and importers.